Who Speaks for the Poor? explains why parties represent some groups and not others. This book focuses attention on the electoral geography of income, and how it has changed over time, to account for cross-national differences in the political and partisan representation of low-income voters. Jusko develops a general theory of new party formation that shows how changes in the geographic distribution of groups across electoral districts create opportunities for new parties to enter elections, especially where changes favor groups previously excluded from local partisan networks. Empirical evidence is drawn first from a broadly comparative analysis of all new party entry and then from a series of historical case studies, each focusing on the strategic entry incentives of new low-income peoples' parties. 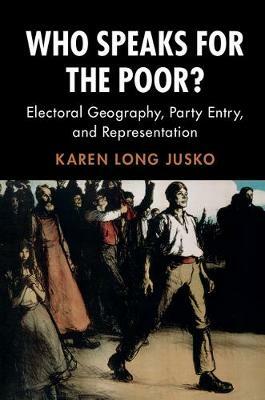 Jusko offers a new explanation for the absence of a low-income people's party in the USA and a more general account of political inequality in contemporary democratic societies.